Tottenham Hotspur will travel to the Etihad Stadium to clash heads with Manchester City after claiming a hard-fought 1-0 win in the first leg last week. Spurs come into this contest on the back of a thumping 4-0 victory over Huddersfield Town on Saturday. However, this upcoming clash versus the Citizens will be their sternest test yet, especially in the absence of Harry Kane who will miss out due to an injury. Mauricio Pochettino might opt for a 3-4-1-2 formation so that both Heung-min Son and Lucas Moura can start together up front. Hugo Lloris will begin the match as Pochettino’s first-choice keeper once again after he managed to keep three successive clean sheets against Crystal Palace, Manchester City and Huddersfield Town respectively. The French goalie will be protected by a back three of Toby Alderweireld, Davinson Sanchez and Jan Vertonghen as they look to put on another dominant display at the back for Spurs. The Tottenham defenders would hope that their front players can score a goal at the other end so that they have enough breathing room while up against the dangerous Man City frontline in midweek. Both Moussa Sissoko and Harry Winks are expected to operate as the holding midfielders while Christian Eriksen plays just ahead of them looking to create chances for the Spurs attackers. Danny Rose will get the nod to start on the left wing as he would try to use his pace to restrict Kyle Walker from getting forward. Kieran Trippier might get a chance to feature on the other side as he looks to deliver some dangerous crosses into the Man City penalty box. 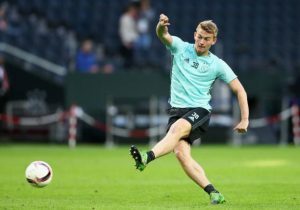 Both Victor Wanyama and Oliver Skipp will be on Pochettino’s bench, but they might get a chance to come on and make an impact on the pitch if required. Spurs might opt to start with the attacking pair of Heung-min Son and Lucas Moura as the duo look to register their names on the scoresheet on Wednesday night. Pochettino will be aware that his side would need to find the back of the net if Tottenham are to stand a realistic chance of progressing into the next round. Thus, playing with a front two could be the right call for the Spurs manager even though they might get isolated due to the home side’s nature of dominating possession across the pitch. Crystal Palace Winger On Everton Radar Slapped With £60m Price Tag: What Should Silva Do Now? Should Manchester City Turn This Brazilian Into The Most Expensive Shot Stopper In the History? 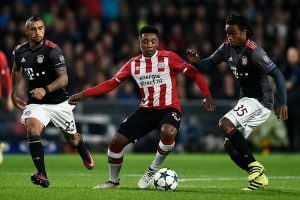 Liverpool Keeping Tabs On This £25m Rated Forward: What Will He Add To Klopp’s Team?